1. Open TimePilot Central and log in. Add any new profiles/remove old profiles from your software by clicking Setup > Profile Setup. When you are finished, click Setup > Vetro Data Manager or Clock Manager (which option you see depends upon your version of the software). 2. Insert your USB drive into the computer, then right-click on the image of your clock and select USB Functions > Transfer Employee Setup. When prompted, remove the USB drive from the computer and insert into your clock. 3. Press 99 > OK > your 6-digit password > menu item 3 ("Read USB Drive"). The clock will download the new profiles from the drive. When it's finished, remove USB drive. 4. Now press menu item 4 ("Assign iButtons"). Scroll using the up/down arrows on the clock, and when you come to an employee who needs an iButton, tap their iButton to the IN probe. You will see the iButton's ID number appear on the screen. Scroll and repeat for anyone else. 5. When you're finished, press OK to go back to the main menu. Insert your USB drive into the clock again and press menu item 1 ("Collect Data"). The clock will load the iButton numbers and names onto the USB drive. When the process is finished, remove the USB drive and insert it into your computer to finish the synchronization process. A. Actually, the Tap+ clock has no idea who's clocking in. It's essentially a recording device. When someone clocks in or out, their iButton number is recorded in the Tap's memory. When the Tap is plugged into a PC running TimePilot Central, the data in the clock is downloaded into the database and the software matches up the iButton number with the employee's name. The Extreme Blue clocks work the same way. Vetro clocks are different: They "know" the employee's name, because they have to display it on their LCD screen when he or she clocks in or out. Emails: The average employee checks his inbox 36 times an hour. Meetings: Employees waste 31 hours in unproductive meetings a month. TimePilot Q&A: iButtons without numbers; employee names in Tap+?. TimePilot Lead Story: . All about Bluetooth. Cool Stuff: Weego Jump Starter Battery+. 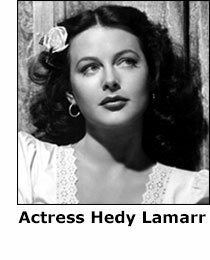 You may have noticed that there's no "special deal" for newsletter subscribers in this issue. From now on, we'll be sending that out as a separate email. Watch for it in the next week or two! FYI, if you don't want to receive the special deal emails, you can unsubscribe; unsubscribing from the special deals won't affect your subscription to this newsletter. 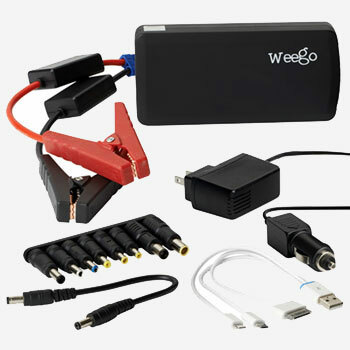 The pocket-sized Weego Jump Starter Battery+ is a small-but-powerful battery that can jump-start your car, boat or motorcycle as well as recharge your smartphone, laptop or tablet. It's also got a built-in LED flashlight with strobe and SOS capabilities.